A photo of Jayam Ravi. During a recently held press meet, actor Jayam Ravi opened up about his film ‘Vanamagan’ and urged fans to refrain from indulging in piracy. Moreover, he praised director AL Vijay and said that he is extremely passionate about cinema. “Vanamagan is the hard work of all those who believed in a good script. This film can be done only by someone like Vijay who loves cinema so passionately. It is about tribals who live together as joint families. If you are a Tamilian, please do not upload the film in net. I am very sure this film is going to take the money that it invested. If not, I am willing to do one more film for Vijay without taking remuneration,” he added. 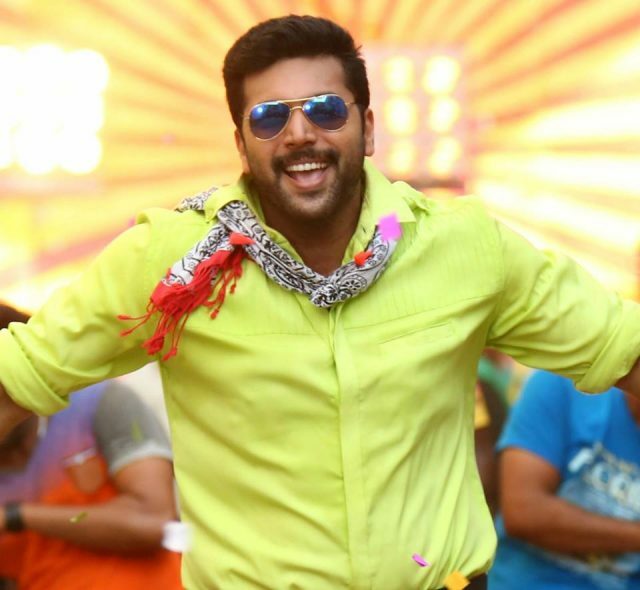 In case you did not know, ‘Vanamagam’ is touted to be an action film and features Jayam Ravi in the role of a tribal. In it, the star will be seen opposite newcomer Sayyeshaa. This is the first Kollywood film of her career. She made her big screen debut in 2015 with ‘Akhil’. Also featuring Akhil Akkineni in the lead, it opened to an underwhelming response at the ticket window. Last year, she made her Bollywood debut with the Ajay Devgn starrer ‘Shivaay’. On a related note, this is a busy time for Jayam Ravi. Besides ‘Vanamagan’, he has ‘Tik Tik Tik’ in his kitty. Moreover, he will soon be beginning preparations for ‘Sangamithra’. So, are you excited about ‘Vanamagan’? Tell us in the space below.